Ginger is an Asian spice well-known for its sweet and zesty zing. It has been shown that ginger reduces pain and inflammation and supports metabolism and digestion. As a digestive aid, this root has been used in traditional herbal medicine to nourish and warm the digestive organs including the mouth, stomach, pancreas, and liver. Ginger stimulates the production of enzymes in all digestive pathways. It also provides support in the breakdown of starches and fatty foods. Herbalists have long used ginger as a tool to heal upset stomach, diarrhea, nausea, and morning sickness. Modern naturopathic and functional medicine doctors often prescribe ginger to prevent and treat nausea and vomiting associated with pregnancy, cancer treatment, motion sickness, after surgery and for indigestion. Current research indicates that compounds in ginger bind to receptors in the digestive tract to help minimize sensations that create nausea and indigestion. It also facilitate digestion, reducing the time food sits in the stomach. 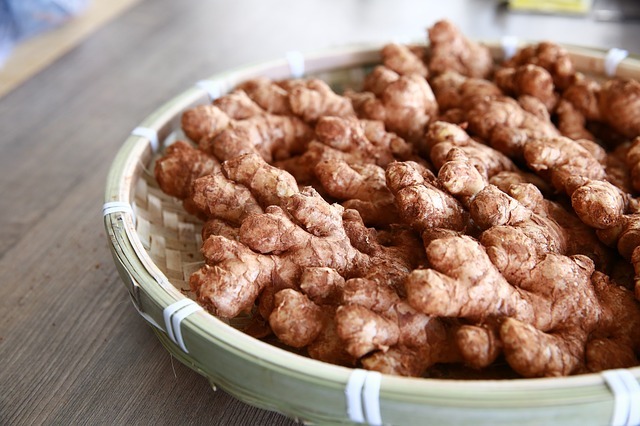 There are many preparations for ginger including ginger chews and lozenges, fresh or dried tea infusions, capsules, and extracts. Here is a great recipe for healthy homemade Ginger Ale, prepared with a freshly grated ginger. Elena Klimenko, MD, a certified functional medicine physician, will help you choose the right course of action to improve your nutrition. In her practice, she uses lifestyle modification, holistic healing methods, herbal and food based supplements to address the root cause of your medical symptoms. Call today to find out more about functional medicine and speak with Dr. Klimenko at 212-696- HEAL(4325). If you want more information about Functional Medicine, contact us to receive a FREE copy of Dr Klimenko’s E-book.